Partner with us to impact the nations! Invest in the work that MaxPoint Missions and our partners are doing around the world. Select the donate button in one of the ministry areas below to make either a one time or monthly gift. 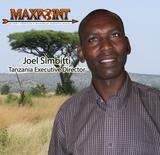 Support the work of MaxPoint to train leaders and transform impoverished villages in Tanzania, Africa. Help new Christians who are being persecuted for their faith get medical care, temporary housing, and food. Your gift will also empower them to start a micro-business so that they can meet their own needs long term. Invest in the future of Africa by training leaders through East Africa Christian College. 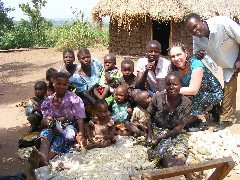 Support Joel's work to plant new churches, train leaders, and develop indigineous missionaries. Support the global ministry of Candace C.
To Give by Check: Please write in the memo line which area you are supporting and send your check to: MaxPoint Missions, P.O. Box 721, Grapevine, TX 76099. In accordance with IRS regulations covering tax-deductible contributions, the donor understands that this gift has been made to and for the exclusive use and control of MaxPoint, Inc. in carrying out its mission. MaxPoint is a 501c3 non-profit organization. Thank you for your partnership in sharing the love of Jesus with people around the world!